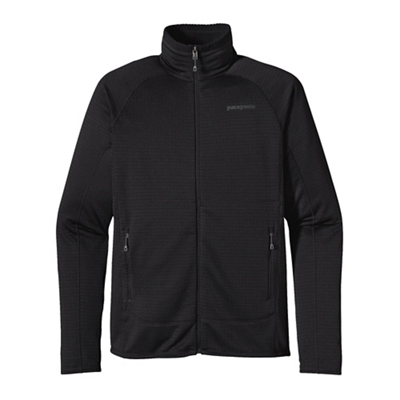 Patagonia Men's R1 Full Zip Hoody - Climb cracks, ski corn, ride and run the trails. 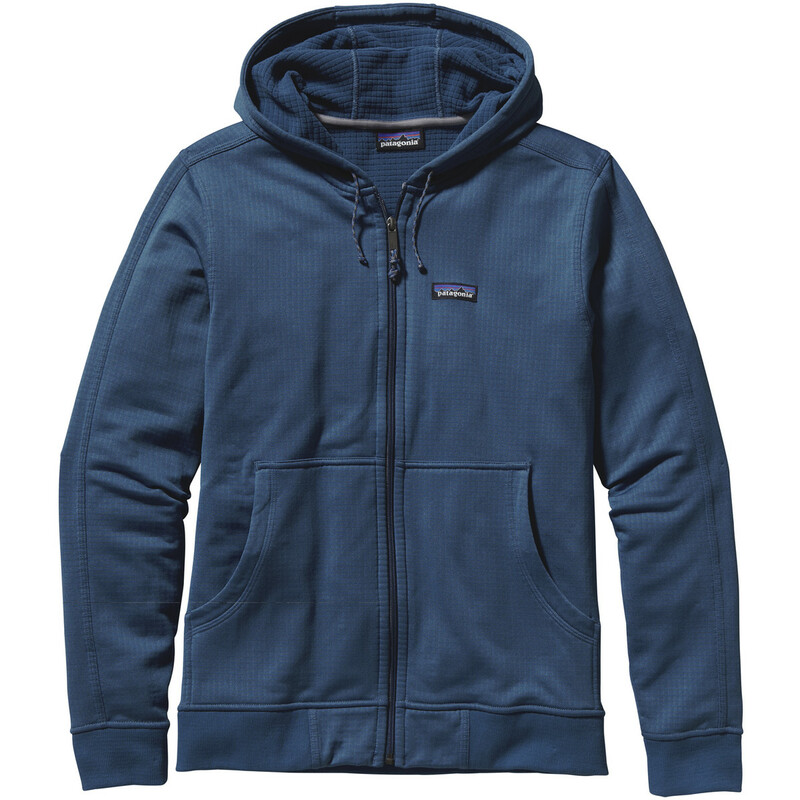 The Patagonia Men's R1 Full Zip Hoody handles any cool-weather adventure. 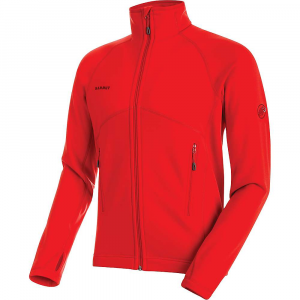 From the crag to the trails, this versatile, multisport, full-zip hoody provides warmth and active performance for cool-weather adventures. 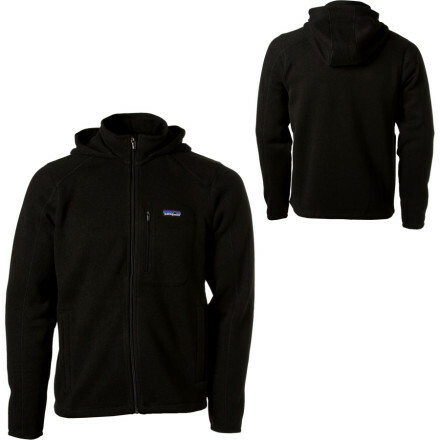 Whether you're climbing cracks, skiing corn, riding or running the trails, the men's Patagonia R1 full-zip hoodie handles cool-weather adventures well with its outstanding stretch and breathability. 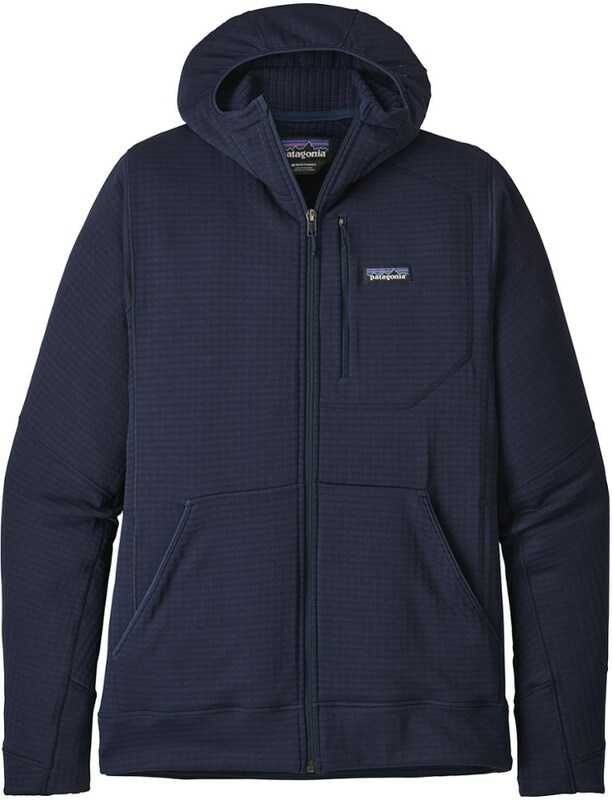 One of Patagonia's most versatile midlayers gets even more versatile with the R1 Full-Zip Hooded Fleece Jacket. Providing the same breathable warmth and easy stretch as the rest of the R1 line, this new full-zip hoodie makes it easier than ever to layer beneath it, and offers even more everyday functionality. Thanks to Polartec Power Grid fleece you'll have comfortable warmth during activity due to its breathable paneled design, while an infusion of spandex ensures that whatever climbing pitches or hiking trails you're trying to navigate will be easy to tackle with full mobility. 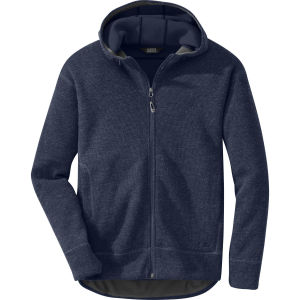 The full-zip design allows for an easy on and off, promotes customizable ventilation, and makes it easy to quickly adjust the layering system beneath your hoodie. You've also got stretchy cuffs that pull up comfortably when you need to fit your arm in a crack for the next hold. 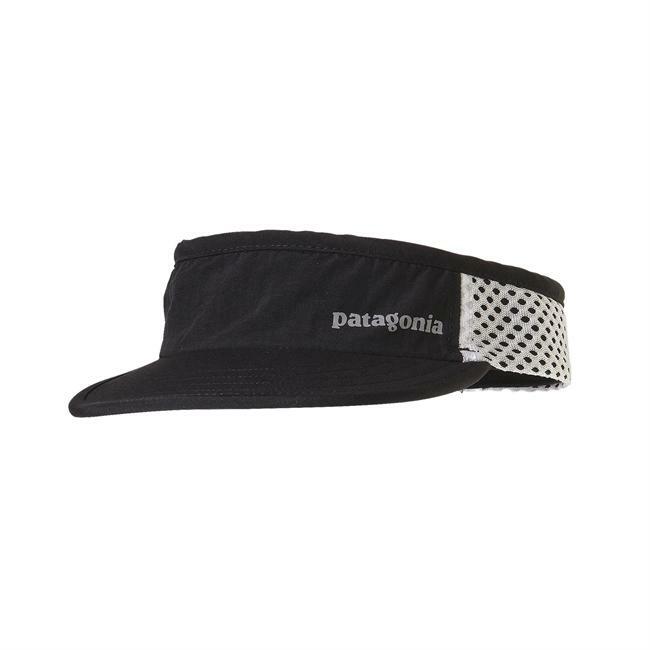 Meanwhile, a zippered chest pocket provides secure storage for smaller gear, and drop-in hand pockets give you a comfortable place to hide your hands on chilly fall days.